Overall Length: 29 ft. 6 in. Overall Length w/ Opt. Extended Swim Platform: 32 ft.2 in. Draft - Stern Drive Down: 38 in. Draft - Stern Drive Up: 23 in. Draft - Twin Stern Drive Down: 35 in. Draft - Twin Stern Drive Up: 24 in. Gray Water Tank: 20 gal. Max Persons/Weight: 12 / 2,000 lbs. Max Weight - Persons/Gear: 3,000 lbs. 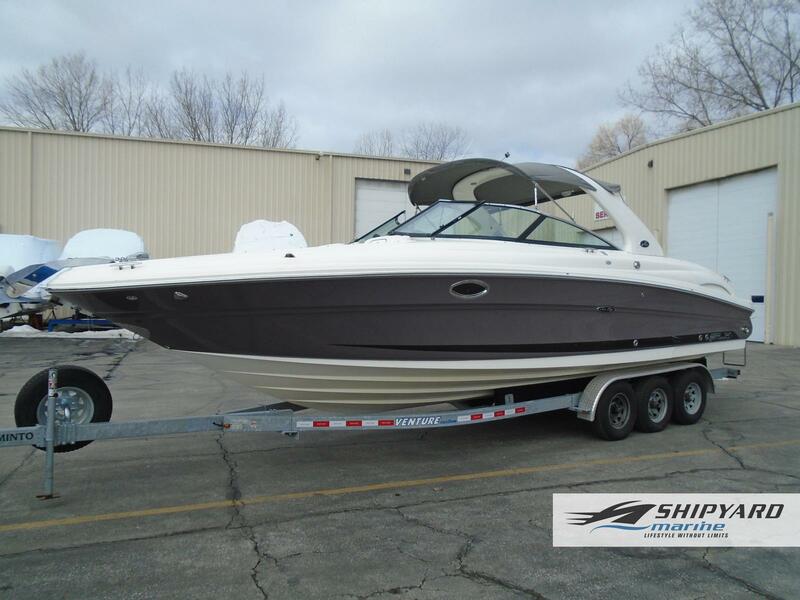 The 290 SLX is the ulitmate executive-level bow rider. Period.